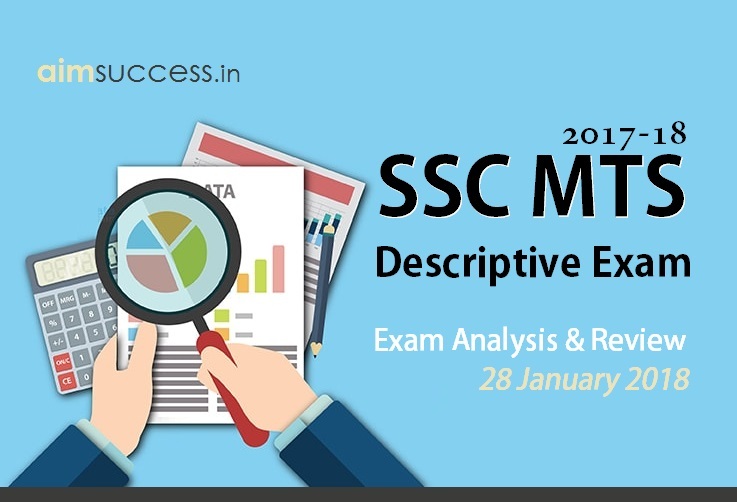 Dear, Students in this post we are providing the analysis of SSC MTS Descriptive exam that was held today (28th Jan 2018). Descriptive Exam will be of Qualifying Nature carrying 50 marks where a candidate will be asked either to write an essay with 250 word limit or a letter containing 150 words with +/- 30% relaxation in word limits. But marks of Tier 2 Descriptive Exam will not be added in the final merit list. There will be at most 5 topics for essay and letter separately. Write an Essay on Rainy Season. Write an essay on Mobiles. Write a Letter to Electricity Board about not getting electricity bill on time. Write a letter to the librarian of your school to purchase new story books.